Today's scientists are showing us how stem cells create and repair the human body. Unlocking these secrets has become the new Holy Grail of biomedical research. But behind that search lies a sharp divide, one that has continued for years. Stem cells offer the hope of creating or repairing tissues lost to age, disease, and injury. 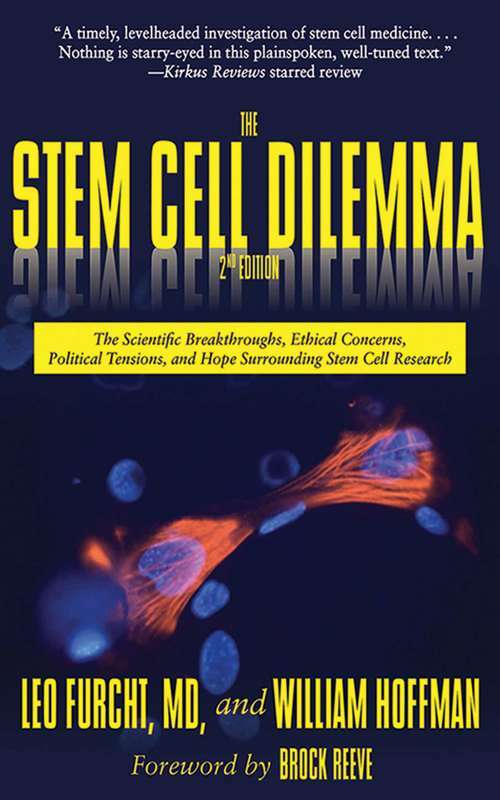 Yet, because of this ability, stem cells also hold the potential to incite an international biological arms race.The Stem Cell Dilemma illuminates everything you need to know about stem cells, and in this new edition the authors have included up-to-date information on scientific advances with iPS cells, clinical trials that are currently underway, hESC policy that is in the U.S. courts, stem cells and biodefense, developments at the California Institute for Regenerative Medicine, and growing international competition, plus all the basics of what stem cells are and how they work.